I am popping in a little bit early with the Happy New Year post. Hint: there will be a NEW Build-a-Flower release on the New Years Day! 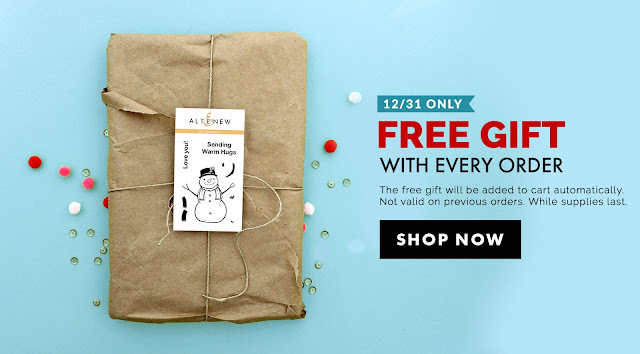 There is a FREE gift with any order over Altenew shop today. 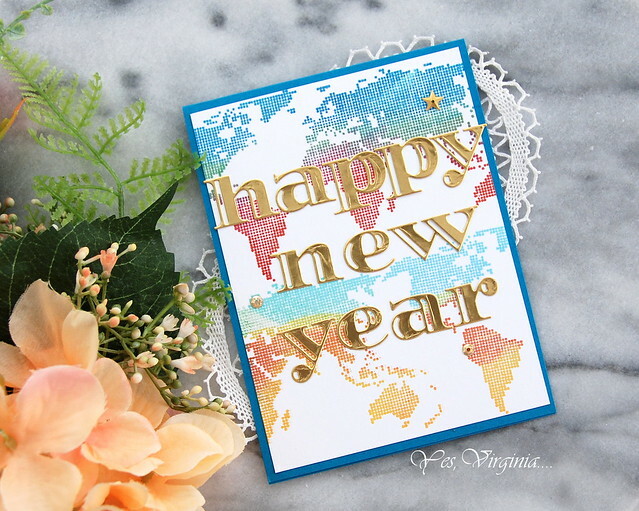 My New Year's Day card is super simple: stamps (world Map), dies (Inline Alphabet Die) and embellishments. Please see the product links at the end of this post. 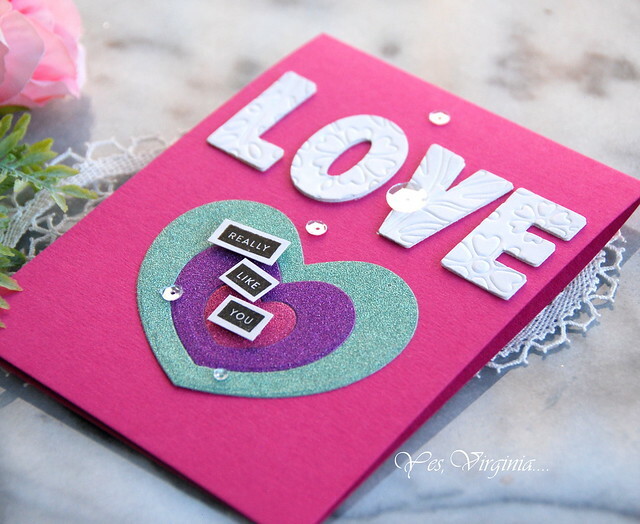 Add the die cut sentiment and sequins. You are all set for the New Year! I will "see you" in the new year! Shop here The free gift will be added to cart automatically. Not valid on previous orders. While supplies last! 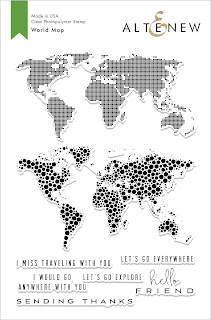 (FYI, we just released the NEW Snow Stamp Set in the shop). Simon Says Stamp offers 30% off all Simon Brand Dies. I am popping in EARLY to announce the THREE winners! The sale is still on! Today is the last day! 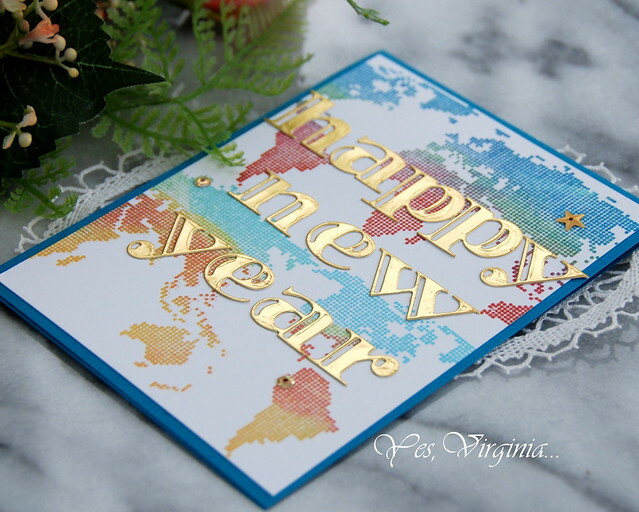 As we say good bye to 2018, I want to thank you for following my blog this past year (and many years before). Without your feedback and support, I would have stopped blogging a long time ago. With the prevalence of Social Media, blogging is becoming extra challenging. I mean, who has time for that!? Nevertheless, I will give it another go in 2019! 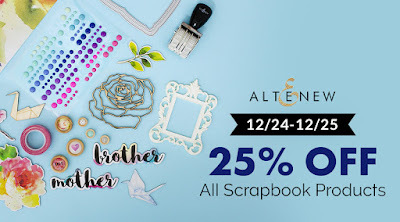 Spellbinders has a Holiday Blowout Sale! 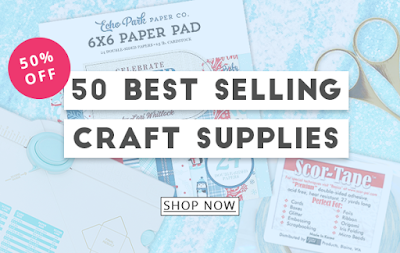 Save up to 50% Off Select Holiday Dies, Stamps, & More! Don't forget your code for FREE shipping for order over $100. As promised, we have THREE winners for this month's giveaway! Love that bow with galaxy washi tape, the wreath looks lovely. 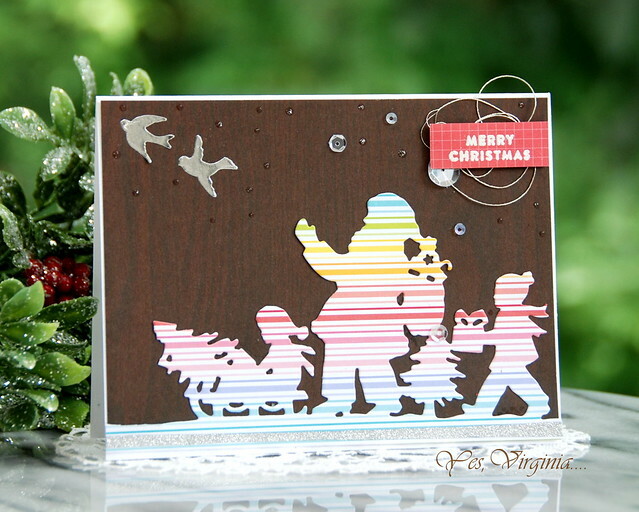 It's always a delight to see how your creative mind works, Virginia! I loved your saving the middle of the Cozy Flannel panel for another project. Merry Christmas! Congratulations, Chandini, Carla and Vikki! Please e-mail me at virginia@altenew.com to claim your prize ASAP. Once again, thank you for your visits and I promise that there will be more giveaways in the new year! I hope 2019 is a great year for everyone! the die cut sales are too good to pass up. Plus, the dies won't go bad! 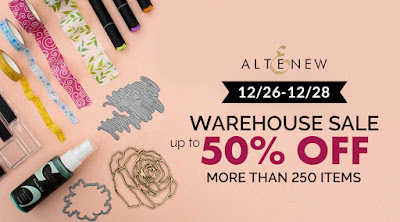 Don't miss the Warehouse Sale and do take advantage of these incredible prices! This is a great item for the new year! Worth checking out----> Check out the Promotions page! Scrapbook. com is offering 15% off on Celebrations and Events items. 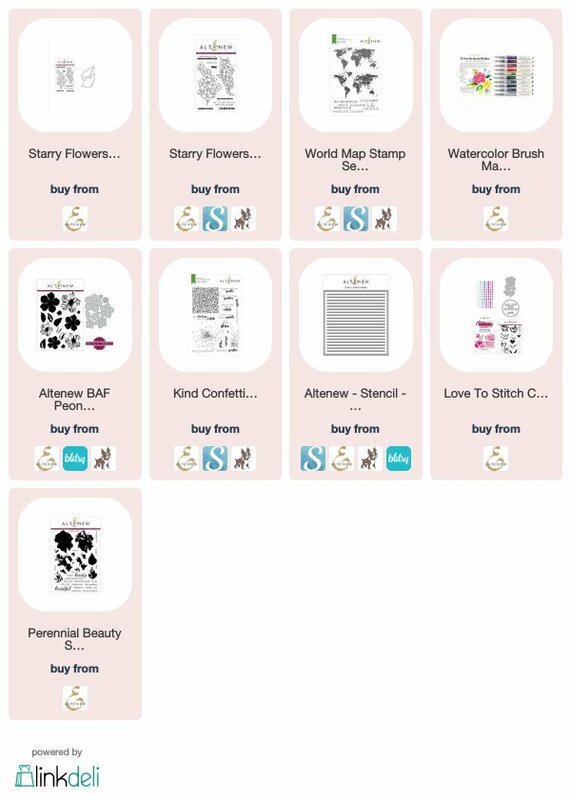 Simon Says Stamp offers 25% off Ranger products! Yay, it's A Year in Review Blog Hop from Altenew! Creatively, I am truly blessed to be part of the Altenew Card DT. With the new and innovative Altenew products, I find myself pushing my creativity to the limit (in the good way!). It is always very exciting to try out new products. I hope 2019 is going to be an amazing year for creativity! I am super excited to share my most favorite 2018 projects with you. 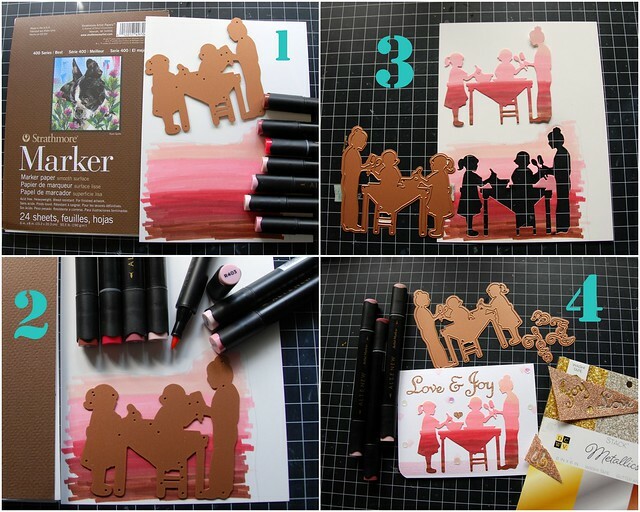 If you arrive from the blog of Nathalie DeSousa, you are in the right place! These four are the highlights of my creations in 2018. I am also listing my Top 10 Favorite at the end of this post. You can simply click on the card for details if you miss seeing it. 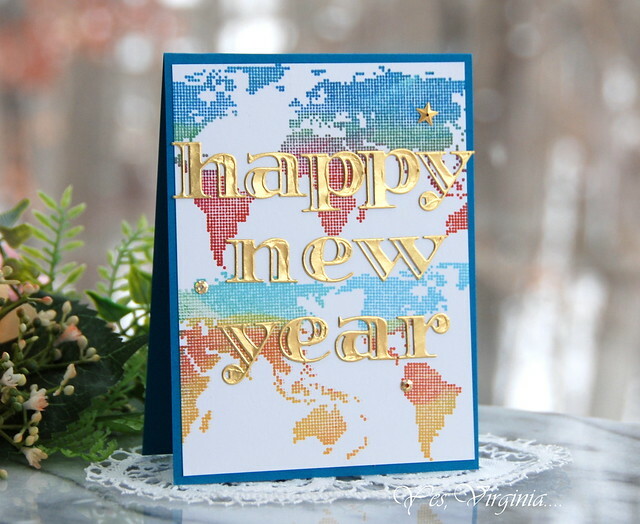 As I am looking forward to the New Year, I want to share a NEW creation with you in today's post. 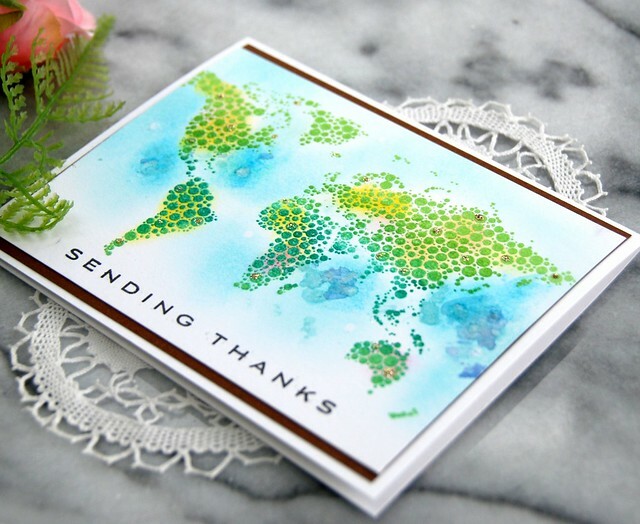 Over the holiday, I was in need of a masculine thank-you card, so I created one with World Map. You can never have too many masculine thank-you cards, right? 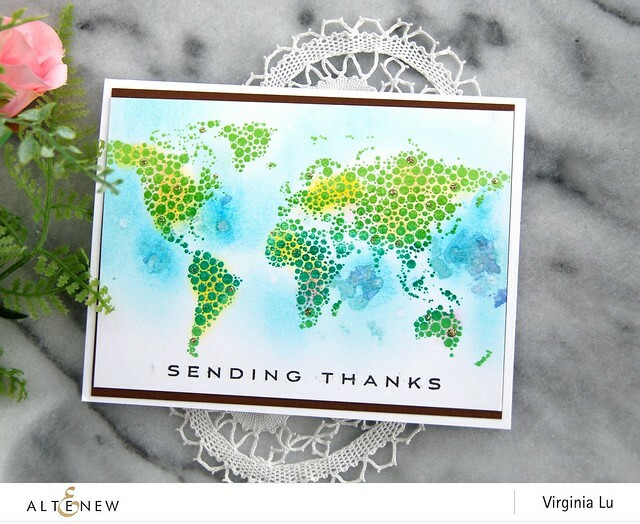 I stamped the dotty map image over the white card stock. 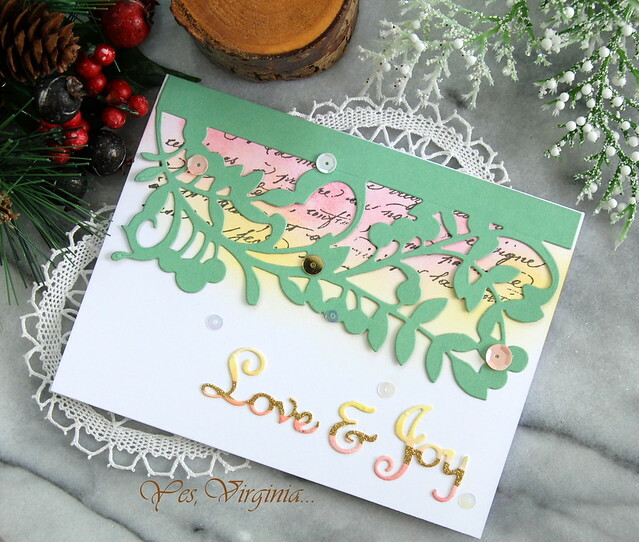 With the stamp still in position in my MISTI, I clear-embossed the green dots... and then went back to ink up some yellow and soft pink. This is where you call it "Emboss Resist". I added water droplets and lift off some of the water drops. You then got some muddy water effect. I thought the ocean looks kind of neat this way!!? 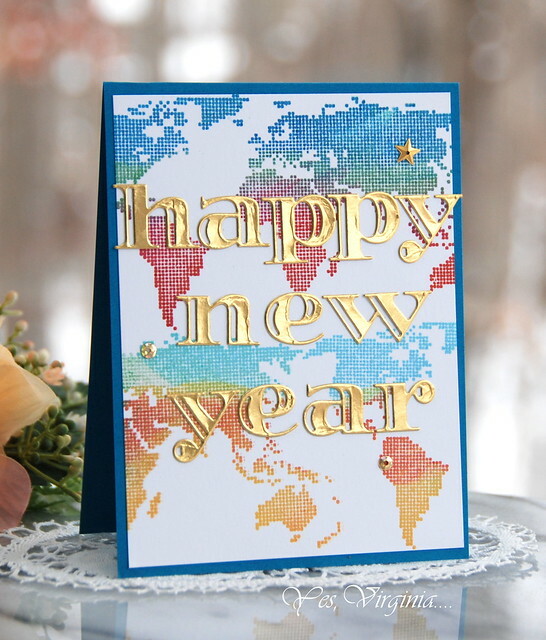 World Map provides the perfect images for this all occasion cards. Over the holiday, I have donated over 100 cards! What a a great feeling! I am all set for 2019! The following are the Top 10. You can click on each photo to find the right post and details. 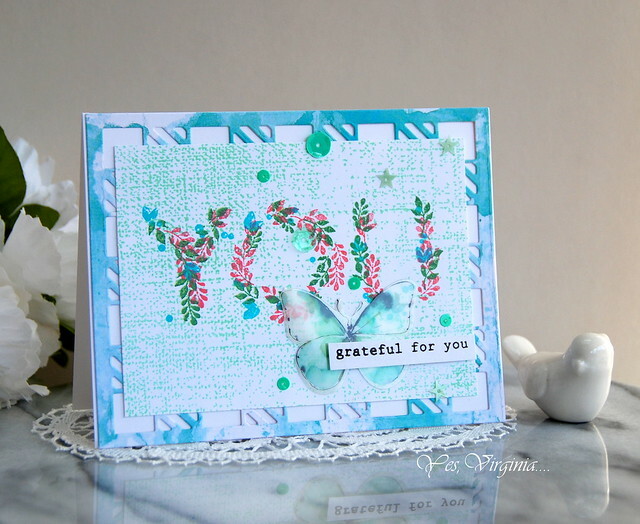 Handpicked Bouquet (card #1) is BACK IN STOCK! Prizes: to celebrate this release, Altenew is giving away a $40 gift certificate to 6 lucky winners. 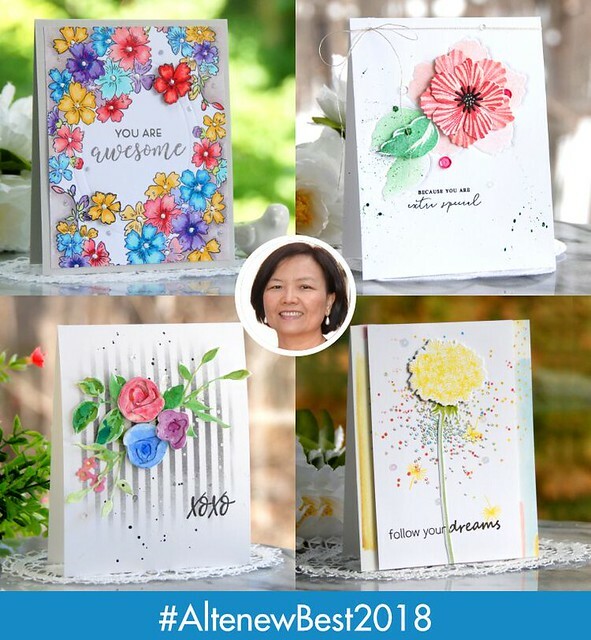 Please leave a comment on the Altenew Card Blog and/or Altenew Scrapbook Blog by Thursday, Jan. 3rd for a chance to win! 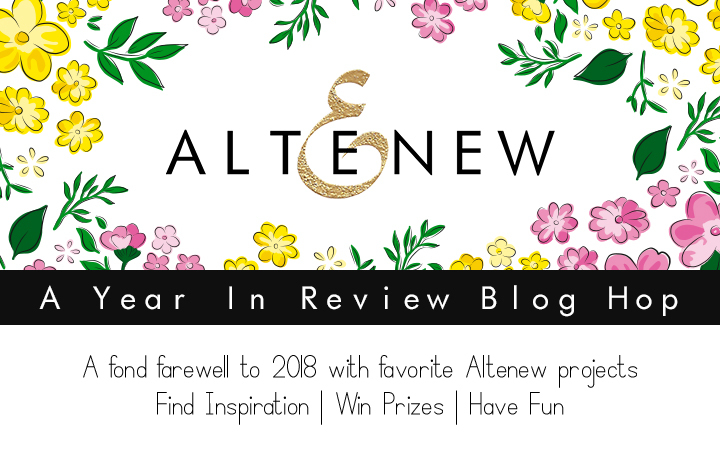 6 winners will be announced on Altenew blogs on 1/6/2019. 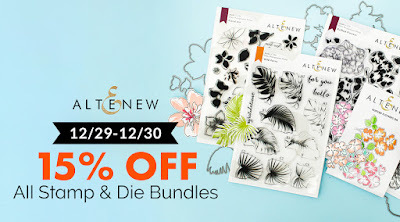 Giveaway: please leave me a comment (and tell me your favorite project/stamp/die) in this very post for chance to win a Altenew $20 Gift certificate. The winner will be announced on Jan. 2nd right here in this blog. This year, we are staying home with the adult kids and spend time together. 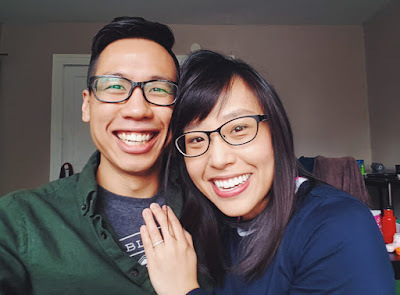 Here are the recent happenings: our daughter Stephanie got engaged in October! The wedding will be in Fall, 2019. She also got herself a new job as a Program Evaluation Specialist at a county's Health Unit. We are absolutely thrilled about her new chapter in her career and life. 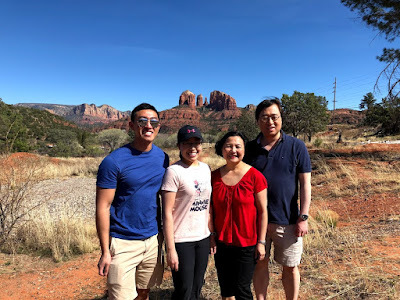 Our son David (the engineer who works in Ann Arbor, MI) came home to spend Christmas with us. David plans to pursue graduate studies in Mechanical Engineering in 2019. Dr. John and I will keep fit and healthy and stay out of trouble in 2019. We hope that we will continue with the ongoing donations to charities (Red Cross, World Visions and PBS, TVO...). The commissions I made with my affiliate links will be helpful for those causes. Wish you all a very blessed Merry Christmas! 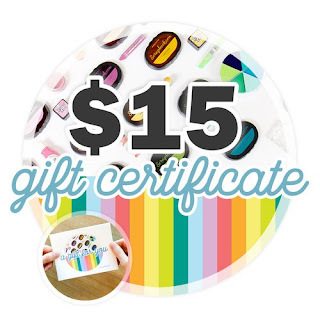 win $15 Scrapbook.com gift card! (see post here). 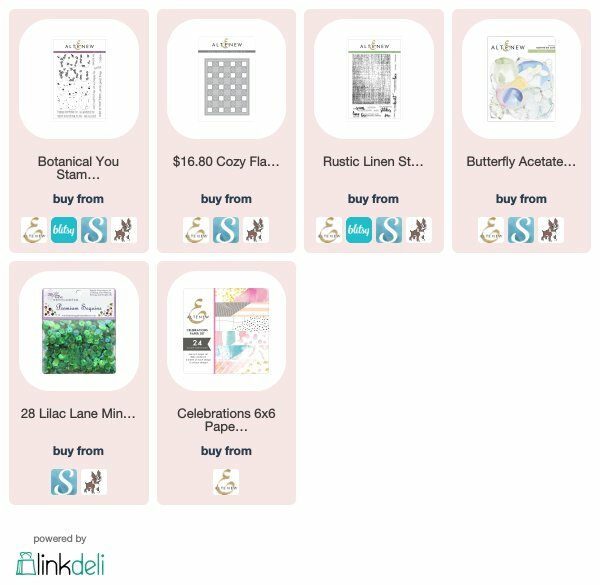 Scrapbook.com has 10% off (TODAY only)! Please use the code FUNDAY2837 for the extra 10% off of your entire order. Also, they now have the latest Altenew products in stock (see here). 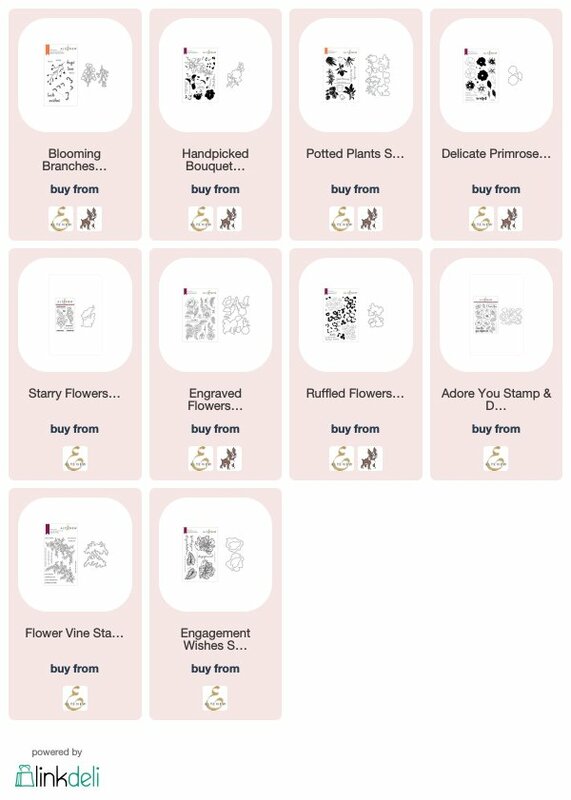 Spellbinders has sales up to 70% off! As Christmas is near and 2018 is coming to an end, I want to take this chance to thank you. I am grateful that you check out my incessant blog posts and sale promotions. If I have inspired or enabled you, I am thrilled. If my posts make you smile, I am happy. If my posts make a small difference in your daily life, I am honored. I would not be here without your faithful support and positive feedback. Today's card conveys this sentiment exactly. This card is a mesh-up with all my leftovers in the last few months. I had stamped the Botanical YOU a long while ago along with the Rustic Linen. Lucky for me ... 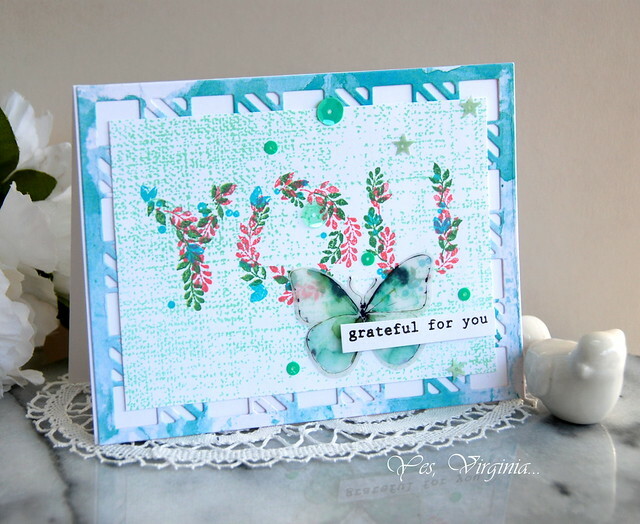 The Butterfly Acetate Die Cut (embellishment) matched the stamping really nicely! Not sure if you noticed, but I also did use Cozy Flannel Cover Die. It seemed wasteful to use the entire cover die like this. So, I actually cut out a small piece in the middle of the Flannel Cover Die and will use it for other time. 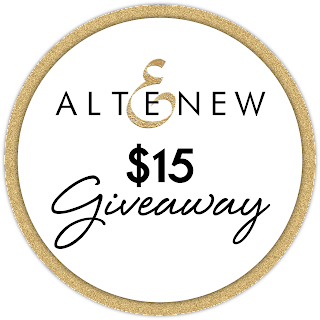 As always, I will announce the two Altenew Monthly winner of $15 Gift Certificate on the last day of the month. 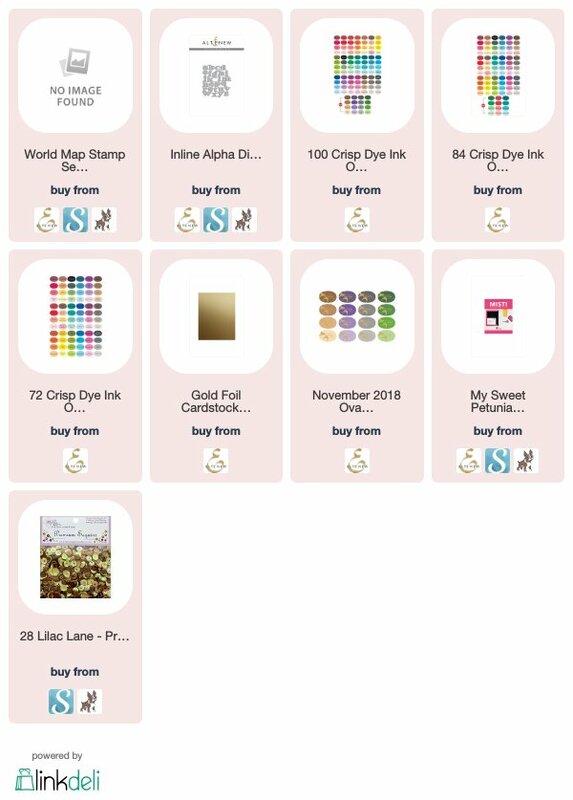 To jazz up the excitement of my monthly giveaway, I am adding a $15 Scrapbook.com Gift Card as well. THREE lucky WINNERS will be announced on Dec. 31st! Please leave me a comment for an extra chance to win! 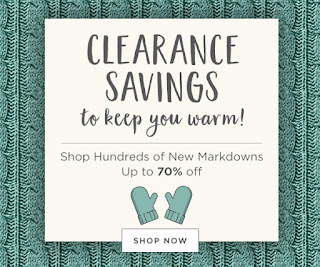 Scrapbook.com offers 15% off Winter Theme products. Simon Says Stamp offers 15% off on the following brand. 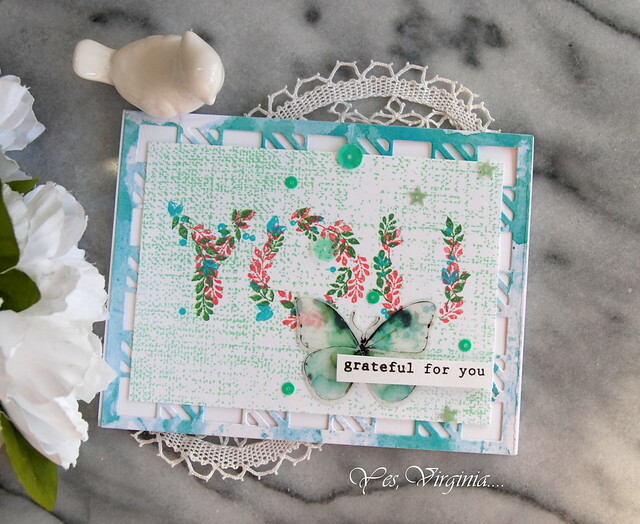 Ruffled Flowers Stamp/Die in 3 WAYS! 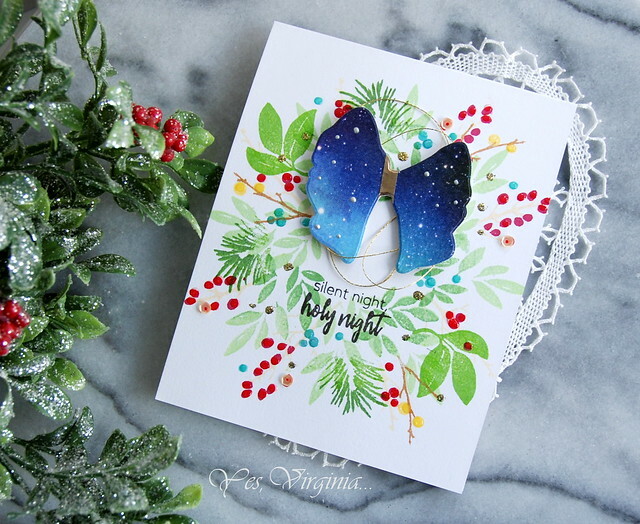 Another Take on "Nature Snippet"
Another take on "Stamp a Wreath"